Summer is a great time to spend afternoons in the sun, at the beach, hiking, and participating in many other fun activities with your dog. However, with all the fun and enjoyment summer brings, it also comes with its own unique hazards that pet owners need to be aware of. Understanding these hazards and knowing how to prepare your dog for summer will make the time more enjoyable for you and your canine companion. The heat of the summer can be very harmful to your dog, but that isn't the only hazard. There are also a lot of pests that lie dormant in the winter but begin crawling around again once summer comes. Dogs need special care in the summer and it is our responsibility as pet owners to understand and meet these needs. Don't walk your dog on hot asphalt. It will burn the pads of his feet. Don't leave your dog tied out or in an outdoor kennel that does not provide an escape from the sun and the heat. These things may seem like common sense, but sadly not all pet owners understand the dangers of the summer heat and it can be detrimental to their dogs. Taking care of a dog in the summer isn't just about the simple things. It may take a little extra time and money, but preparing your dog for summer will make things much easier for both of you in the long run. The most important thing in any season, especially summer, whether indoors or out, is hydration. For the dog who lives outdoors, an unlimited supply of fresh, cool, clean water is an absolute must. Besides preventing dehydration, the dog who has plenty to drink will not be drawn to standing water, which can contain parasites and poisons. There are several ways to make sure your dog has a continuous supply of drinking water. One of the easiest and most convenient methods is an automatic water dispenser. Some models hook to an outdoor hose to ensure that fresh, clean water is always available. Others require that you monitor the amount of water in the reservoir and refill it when necessary. So how much water does your dog need? Dogs require one to three ounces of water per pound of body weight each day. This varies with the age of the dog, any special health problems, whether the dog is pregnant or lactating, and other circumstances. Check with your vet about the amount of water your dog should drink. If your dog doesn't seem to drink enough water, you can always add a tasty treat to his water bowl to make it more appealing. You can buy water additives at your local pet store, but low sodium chicken or beef broth work too. Just a small amount added to your pet's water should greatly increase their water intake. When discussing how to prepare your dog for summer it is crucial to explain the prevention of overheating. Heat stroke is common during the summer and more common in some breeds than in others. Keep some kind of cooling system on hand. A cold, wet towel placed on the dog's underside will usually do the trick although you can buy things like cooling vests and cooling mats that help prevent heat stress and stroke. Heat stroke is a very real danger for dogs. It is something that you should take very seriously. Heat stroke can cause nausea, brain damage, loss of consciousness, and even death. When the temperature outside is above 80 degrees, even a short walk can overheat your dog, especially if you have a senior dog or your dog is overweight. Quick Tip: Limit your dog's outdoor exercise to early mornings and evenings when the days are really hot. In the event your dog appears to be struggling with the heat, get him to a cool place with plenty of available water and put a cool, wet towel on his underside. If he doesn't improve within a few minutes, take him to your vet or an animal emergency center. Fleas and ticks are dormant in the winter, but in summer they are very active. Fleas can be contracted especially easily. They can be found in almost any outdoor climate and your pet can also get them from other animals. Ticks are active outdoors and can be most commonly found in areas of high grass, brush, around woodpiles, and in forested areas. Be sure to check your dog for fleas and ticks regularly, and apply some kind of preventive medicine to keep them at bay. There are many types of flea and ticket treatments on the market: collars, oral pills, and topical liquids that you can apply directly to the dog's skin are the most common. If your dog has skin sensitivities, an oral pill may be your best option. Be sure to check with your veterinarian before starting your dog on any kind of flea and tick treatment. Some of these treatments kill fleas and ticks; some kill fleas and repel ticks; some only kill fleas; and some are effective on more than just fleas and ticks. Since every region has different pests, you should ask your vet about the type of treatment that would work best in your part of the country. You may not need to protect your pet from ticks if they are not common in your area, or you may need to make sure you buy a product that kills ticks if they are very prevalent near your home. When using a particular preventive for the first time, monitor your dog closely for an allergic reaction. Have your dog checked for internal parasites and treated if necessary. Also be sure to observe your dog regularly. If their eating or bathroom behavior changes it may be a sign of worms or another internal parasite. Worms may also be seen in your dog's feces. While most internal parasites are not life threatening in adult dogs (excluding heartworms), they can cause such conditions as anemia, irritation and inflammation of the intestines, watery or bloody diarrhea, and weight loss. In puppies, parasites can stunt growth and sometimes kill. Some canine parasites can also spread to humans, so you must be diligent about treating them. Canines need to be groomed more often during the summer months. Not only does daily brushing help alert you to hot spots and other skin irritations, as well as fleas and ticks, it removes mats and excess hair. This is especially important for dogs with thick fur or an undercoat. Nature designed a dog's coat to regulate its temperature. It helps keep your dog cool in the summer and warm in the winter. Shaving, clipping, or drastic trimming interferes with your dog's natural cooling system and may actually harm him. If you do clip him, be sure to leave at least an inch of fur. This should leave enough of a coat for his natural cooling and warming system to perform. A dog's coat also helps prevent sunburn and biting insects from terrorizing him. A bad sunburn can be as painful to a dog as it is to us, and dogs are also susceptible to skin cancer. There are sunscreens made especially for dogs, but if you are unable to find one, a mild sunscreen like that made for babies and small children can be used. At the very least, his nose and the tips of his ears should be protected. An extremely matted dog or one that already has skin conditions as a result of a matted coat may need a close haircut. If your veterinarian or groomer recommends that your dog be clipped very close or shaved, limit his time in the sun to morning and evening and apply even more sun screen. It's a good idea to let a professional groomer perform this kind of hair cut. They have more practice and are less likely to injure your dog or be bitten. One important thing to remember when understanding how to prepare your dog for summer is that sometimes we, as pet owners, use chemicals in the summer that can be poisonous to our dogs. I'm not talking about the stuff you use to clean your kitchen counters, but the chemicals you use in your yard may be poisonous to canines. Not to mention there are many common plants and flowers that are poisonous to dogs as well. Check your garden for poisonous plants. According to the ASPCA, lilies, marijuana, sago palm, tulip/narcissus bulbs, azalea/rhododendron, oleander, castor bean, cyclamen, kalanchoe, yew, amaryllis, autumn crocus, chrysanthemum, english ivy, peace lily, pothos, and schefflera are all toxic to dogs, causing severe reactions including death. Other common causes of poisoning in dogs are fertilizers, insecticides and herbicides, and compost piles. Be sure that you check the ingredients of any kind of chemical that you are using on your lawn or garden. It would be best to look for natural alternatives or do research to find products that are safe for pets. Most fertilizers do not present much of a problem other than an upset stomach, but fertilizers that can cause more serious reactions are cocoa mulch and those containing a large amount of iron or herbicides and insecticides. Cocoa mulch, which dogs find quite tasty, contains caffeine, which is hazardous to dogs in large amounts. Although it is a necessary component of the human body, the large quantity of iron in some fertilizers is poisonous to dogs. And fertilizers containing herbicides and insecticides can be toxic if improperly applied. One exception to the fairly mild nature of most fertilizers is disulfoton, which is used primarily with roses. Dogs have suffered a serious reaction just by digging in the ground around a treated rose plant. Check your supplement for its presence and avoid using it if you can. If insecticides and herbicides are not applied properly, they can cause a problem as well. Be sure to read the directions very carefully and pay particular attention to the instructions regarding children and pets. In the case of liquid fertilizers, keep dogs, cats, and other pets off treated areas until they are dry. Compost piles can be very attractive to dogs, but they are dangerous too. They contain food scraps that dogs are generally forbidden to eat at home, which makes them all the more irresistible. However, the decomposition of organic matter is also very attractive to certain types of fungi, many of which are poisonous. Ingesting these fungi can make your dog extremely sick. If you have a compost pile put a fence or some kind of barrier around it. Make sure to have your veterinarian's phone number and the phone number for your local emergency vet clinic posted in a conspicuous place. If your dog ingests poison or you suspect that she has, take them to the vet immediately. The longer you let her go without being treated, the more damage the poison will do. Summer is a great time to get outdoors and enjoy time spent with your pet, but you must take the proper precautions. Knowing how to prepare your dog for summer is part of being a responsible pet owner. 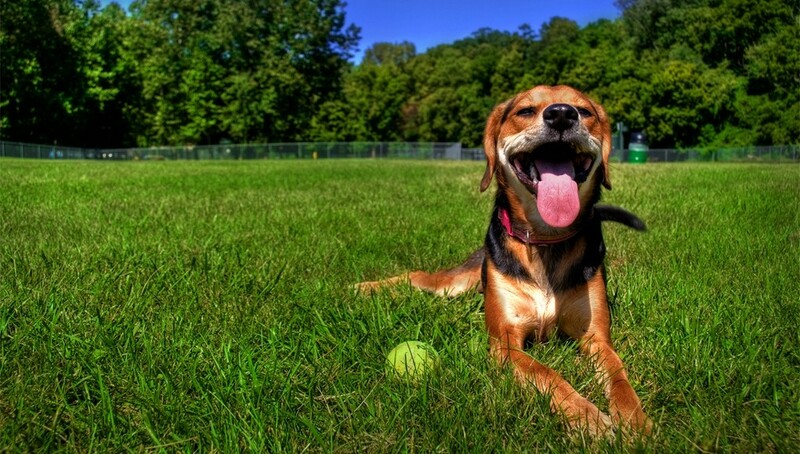 The better prepared you the more fun you and your pet will have on those hot summer days. Next articlePlaytime Protectors: Dog Playpens or Pet Gates?